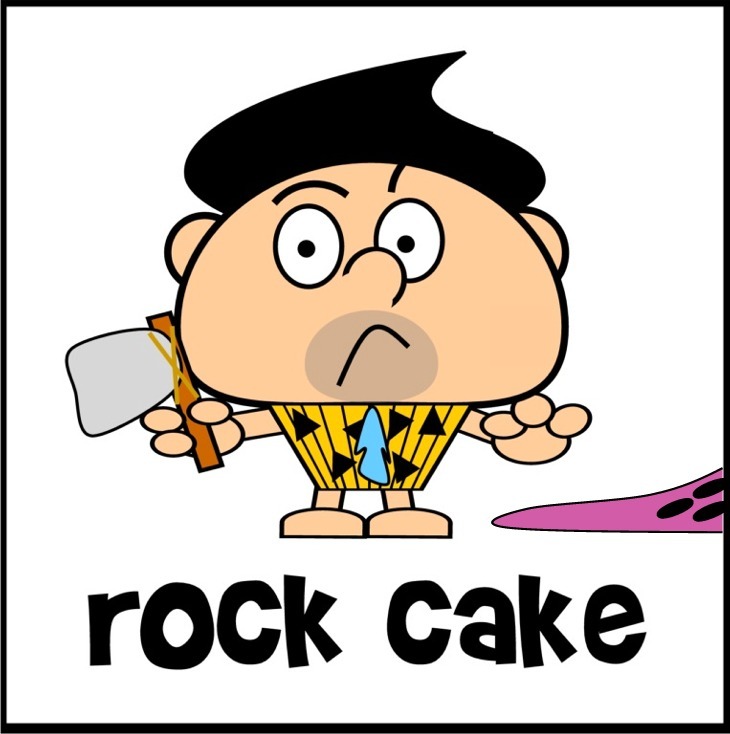 Cakeyboi: Bedrock Bars - I Love The Flintstones! Where do I begin? Probably the start would be a good place. I have always loved cartoons, animation, that sort of thing. And my absolute favourite toons were not Disney (shhh – don’t tell Disneyboi!) but Hanna Barbera cartoons. 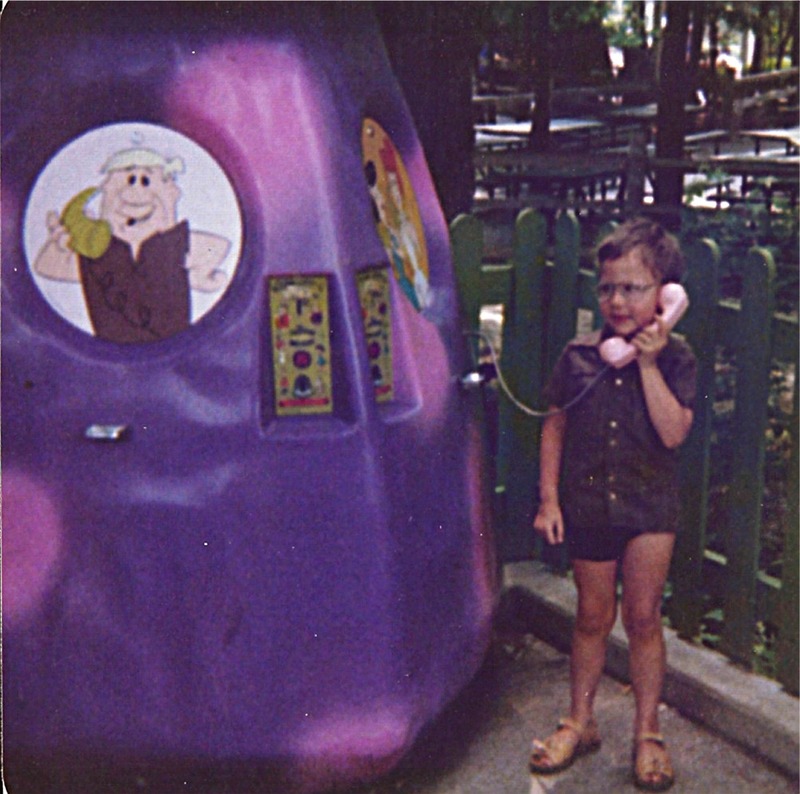 ...4 years old, visiting Aunty Mary in America and I was so excited about being able to talk to Fred and Wilma on the phone ( I was 4, I didn’t realise it was a prerecorded message!). The theme park we were in – Kings Dominion - had ‘The Happy Land of Hanna Barbera’ in it and I still remember walking through Yogi’s cave, getting my photo taken with Dynomutt and being on the Squiddly Diddly ride. Preheat your oven to 180oC. Grease and line a 13”x9” baking pan. In a bowl, with a fork mix together the digestive biscuits and melted butter until combined. Place into the baking pan and smooth out into an even layer, covering the base of the pan. Next empty the can of condensed milk on top of this and spread out until it covers the entire base of the pan (I just tilted the pan and let it run naturally). Then sprinkle on top the chips and nuts and lastly the cereal. With a piece of greaseproof paper smooth over the top, pushing down lightly so the toppings are embedded into the milk. Pop the pan into the oven for about 25 minutes, or until the cereal begins to brown. Remove from the oven and allow to cool completely before chopping into squares. I found them to be quite crumbly the same day (although my cousin Leigh tried a warm one and loved it) but the next day they seemed firmer and easier to handle. They are very, very sweet, but the hazelnuts provide a nice contrast and crunch along with the biscuit base. I used hazelnuts instead of almonds, but any nut would probably work as would any cereal (coco pops would be very yummy!). Love it and the photo, what a cutie pie! Yabba dabba these eats look fab too. I want the cereal to try tho' will hunting for that one. Thank you and thank you Mrs M ;) the cereal is nice to eat on it's own too! Love your Flintstones story, you look so cute and excited talking to Fred and Wilma. The Bedrock bars look yummy! No idea why they don't show the Flintstones anymore - classic toon!! Great bake! Love the photo of you - what a cutey!